The PVV and Forum voor Democratie are making a bid for local power and that is a worrying development, say Reinier van Dantzig and Klaas Verschuure, who are leading the local election campaigns in Amsterdam and Utrecht. Terms like ‘head rag tax’, ‘arranging’ for ‘fewer, fewer, fewer Moroccans’ and ‘homeopathic dilution’ have so far largely come from the mouths of national politicians. But it was local Amsterdam FvD leader Annabel Nanninga who came up with the term ‘bobbing negroes’ for boat refugees. PVV or FvD politicians often eat their words. They come out with some ugly abusive term, then they retract it – it simply came out wrong, they say. The statement, they argue, is much more nuanced than the hostile media and established parties want people to believe. We are not buying it. The ugly face of hatred, exclusion and division is never more clearly seen than during those carefully managed media moments. The people the populist parties are reaching out to are getting the message loud and clear. Following the chant for fewer Moroccans in The Hague and in the Netherlands as a whole, Wilders’ ‘more nuanced’ explanation became a limit on immigration, promoting the return of immigrants and the deportation of criminals with dual nationality. But if a politician uses words like ‘arranging fewer, fewer, fewer Moroccans’ you have to believe he will act on them as soon as he gets the chance. That ‘nuance’ does nothing to alter the fact that people have been labelled second-class citizens. 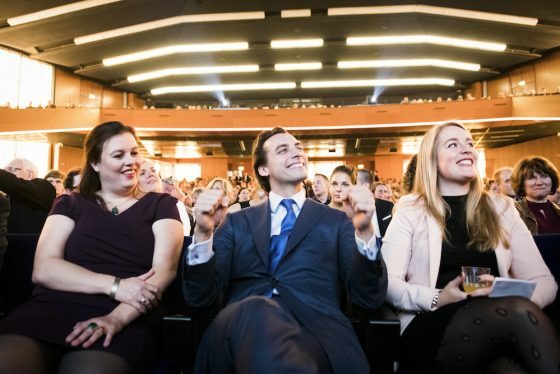 Take the proposal from Leefbaar Rotterdam’s Joost Eerdmans and FvD’s Thierry Baudet who have joined forces for the Rotterdam local elections. They want the law to be changed to limit the number of halal butchers and Turkish greengrocers – to stop Turkish and Moroccan shopkeepers from setting up shop. When the time came to discuss the proposal in parliament, Baudet never showed up. But the message had been put out there – replace Turkish shops with Dutch ones. These are Rotterdam shops, each and every one of them. That is and will remain our message. If the xenophobes turn up the volume, so will we. We need to voice our support for that Turkish greengrocer who is told by politicians that he is obsolete and that people prefer a Dutch greengrocer and for the child in the playground who is told there should be fewer of her. There is no need to air this kind of abuse. That is the other side of freedom of expression. You don’t need to say things that hurt or exclude people. Everyone has the right to use their freedom of expression. We will too. We will counter every threat made to our fellow citizens. We will express our disgust at empty ideas aimed at feeding society’s xenophobic underbelly. We are proud of our cities and their inhabitants, regardless of who they fall in love with or where they are from. Every message that brands them second-class citizens will be interpreted by us as a message of hate, including those hidden behind big words and pseudo-scientific quotes. None of these messages will go unchallenged. We are fighting for cities in which every citizen can feel at home, regardless of background, creed, and sexual orientation. Diversity makes us stronger. It makes the Netherlands stronger. The local elections take place on March 21. EU citizens and people who have lived in the Netherlands for more than three years are eligible to vote.